Why You Should Go For Property Inspections Before Property Purchase? Need a pre-owned house? How can you make sure that your investment is worthwhile? It is extremely tricky, but with the help of the professionals for pest inspections services you can find the best property within your budget. Why You Should Go For A Building And Pest Inspection? It is always a good idea to visit the property on your own so that you can check whether it requires any kind of repairs or probably if there is a requirement of timber pest inspections due to the increasing number of pests in your home. If there are pests in the property, you should ask the existing home owner to do a pest inspection so that you don’t have to live with the pests. When it comes to the building and pest inspections, it always demands for an expert professional. Always make sure that they have the essential skills and credentials to carry out the job properly. It is advisable to look for a licensed professional, surveyor or architect but one should always remember that an architect can perform a pest inspection properly. Hire a qualified and experienced inspector. How Inspections Should Be Done? What one should remember is that the inspection should be done before you sign any property contract or make any commitment to purchase the property. It should cover all the areas like faulty roof, floor defects or any other kind of safety hazards. 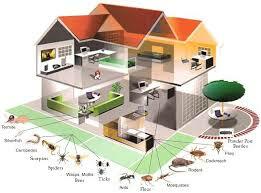 Keep all these great tips in mind to choose the most effective pests inspection services.